Publisher Activision Blizzard has begun its long-rumored layoff process, informing employees this afternoon that it will be cutting staff. On an earnings call this afternoon, the company said that it would be eliminating 8% of its staff. 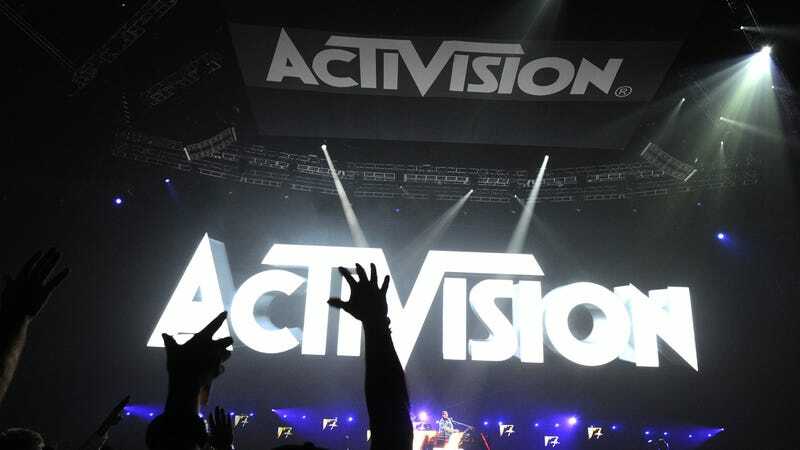 In 2018, Activision Blizzard had roughly 9,600 employees, which would mean nearly 800 people are now out of work. This afternoon, the mega-publisher began notifying those who are being laid off across its various organizations, which include Activision, Blizzard, and King. On the earnings call, Activision Blizzard CEO Bobby Kotick told investors that the company had “once again achieved record results in 2018" but that the company would be consolidating and restructuring because of missed expectations for 2018 and lowered expectations for 2019. The company said it would be cutting mainly non-game-development departments and bolstering its development staff for franchises like Call of Duty and Diablo. Development sources from across the industry told Kotaku this afternoon that the layoffs have affected Activision publishing, Blizzard, King, and some of Activision’s studios, including High Moon.